Everyone knows that the sloth is a world championship sleeper, but did you know these other animals are too? 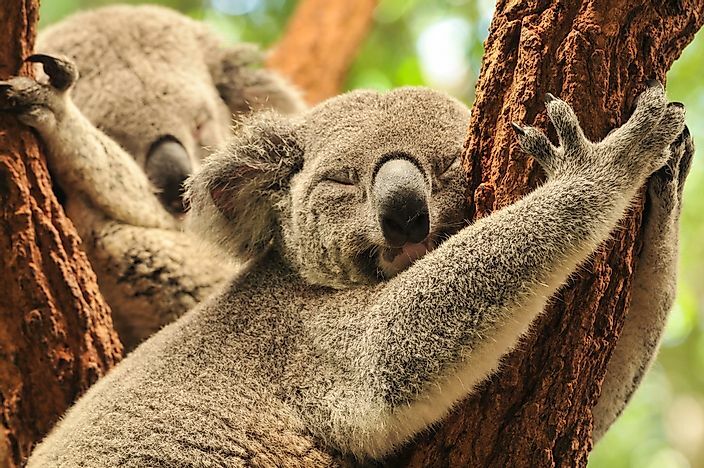 Koalas sleep for about 22 hours each day. Also know as Echidnas, spiny anteaters are egg-laying mammals which belong to the Tachyglossidae family. They feed on termites and ants. Spiny anteaters reside in New Guinea and Australia. They are brown or black colored, medium-sized animals which are covered with coarse spines and hair. Echidnas resemble the true anteaters from South America and some spiny animals like porcupines and hedgehogs. Spiny anteaters sleep for over 12 hours per day. With over a billion live pigs at any given time, the domesticated pigs are the most populous mammals found on earth. They are omnivorous and eat a wide variety of food. Wildboars, the ancestors of all domesticated pigs, are one of the most widespread large mammals in the world. Their subspecies are native to some of the harshest climates in the world which includes Eurasia, Japan, India, Ireland and Africa. Pigs sleep for 13 hours per day, just like cats. Cats are small, furry carnivorous animals which are known as house-cats when they are kept indoors. They are the most famous house pets in the world and are valued for their ability to hunt rats and companionship. 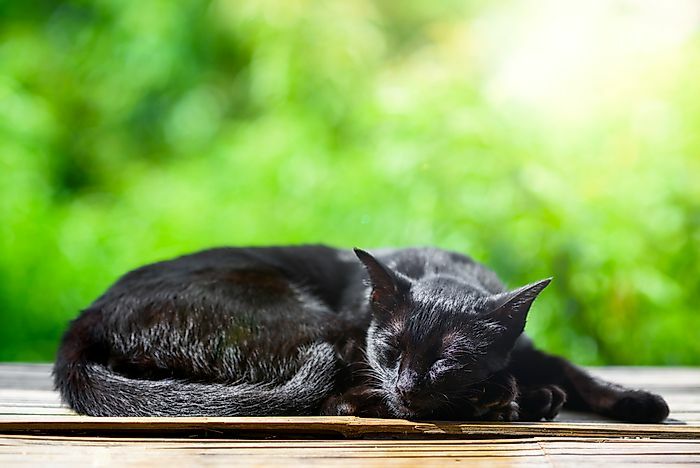 Cats can sleep for about 13 hours per day. They are nocturnal creatures which hunt at night, and they sleep mostly during the day. They are predators by nature, and the sleep helps them reserve energy for stalking, running, climbing, and pouncing. They are small-medium sized creatures belonging to the Sciuridae family. They are native to Africa, Eurasia, Americas, and they were introduced in Australia by humans. When they are not outside looking for food and jumping on trees, squirrels spend most of their time sleeping. They sleep for about 14 hours a day in their nests. Their diet is rich in fat and carbohydrates which causes them to sleep. Squirrels sleep from early evening to the early morning. Hamsters are small rodents which belong to the subfamily Cricetinae which live underground in the wild. They are crepuscular creatures which hide underground during the day to avoid being hunted by predators. Since they are very simple to breed in captivity, hamsters have become very popular house pets. A hamster has an elongated cheek pouch which it uses to carry food back to its burrow. They are stout-bodied creatures with a silky, thick fur. Hamsters sleep for over 14 hours per day. They feed on vegetation, fruits, seeds, and at times burrowing insects. A lemur is a strepsirrhine primate which is native to Madagascar. Ranging in weight from 0.0661 pounds to 20 pounds, lemurs share various traits with all the other primates including the five divergent digits with nails instead of claws. They have an elongated and laterally compressed nail on their second toe known as the toilet-claw which they use for grooming and scratching. 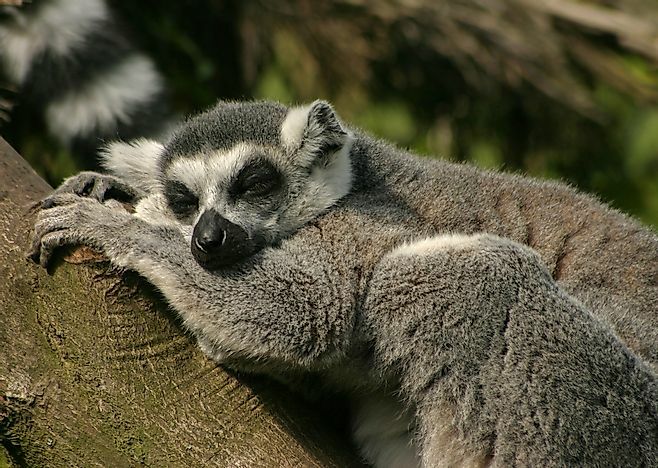 Lemurs behave like monkeys, and they reside on trees. They are omnivorous creatures which feed on fruits, vegetables, and meat. They are heavy sleepers which sleep for approximately 16 hours daily. Also know as a possum in the southern parts of the United States, an Opossum is a small sized marsupial which grows to the size of a cat. They originated from South America and their unspecified reproductive habits, and flexible diet makes them the best colonizers and survivors in diverse conditions. They are commonly found in Canada. These creatures sleep for over 19 hours, and they only have 5 hours to look for food. Armadillos are prolific diggers which vary in weight from 0.187 to 119 pounds. Giant armadillos are about 59 inches long. Currently, all the extant species of Armadillo are in South America while Paraguay is home to 11 species. Even though they have very short legs, these nine-banded creatures can move very fast. They use their claws to dig for food. In the United States, they are found in Florida, South Carolina, and Texas. Their diet varies from insects to grubs while some species feed entirely on termites and ants. Armadillos are beautiful creatures with leather armor shells. They burrow underground to either rest or sleep during the day. Armadillos sleep for about 19 hours daily. They are arboreal animals which are famous for their slow movement. Their slowness is attributed to their drowsy reflexes and poor circulatory systems. Sloths spend a majority of their life hanging upside-down on trees in the tropical forests in Central and South America. They perform most of their essential activities like mating, eating, sleeping and even giving birth on trees. There are two types of sloths, the maned sloths which have three toes and the Unau which has two toes. They have eighteen teeth for grinding food and a rough tongue. They have round heads, immovable eyes, and short tails. They can move faster in water than on land. 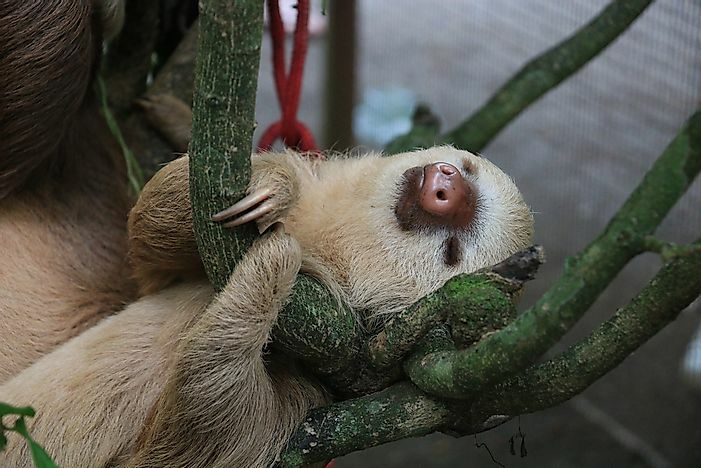 Sloths are active for only 5 hours per day and they sleep for 19 hours. Koalas are the closest living relatives of the wombats. They are found in the coastal regions of Queensland, New South Wales, and Tasmania. Koalas are recognized by their large head, tailless bodies, spoon-shaped nose, and fluffy ears. They weigh between 9-33 pounds and their body lengths range from 24 to 33 inches. They reside in the open eucalyptus woodlands and the leaves make up a majority of their diet. Female koalas give birth to one offspring after every 12 years. They give birth to an underdeveloped offspring which crawls into their mother’s pouches and live there for up to 7 months. They sleep for about 22 hours per day which is the reason why they are considered to be one of the sleepiest animals on earth.